Since 25 years PRECICUT Milling Machine is well-accepted for its Rigidity, Ruggedness & Reliability. 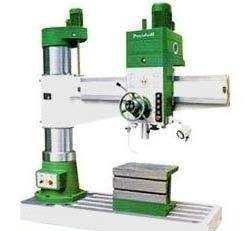 Our milling machine is popular brand for its persistent accuracies and low maintenance. More than 25000 users in India and abroad are getting benefits from our machines. Since 25 years PRECIDRILL Radial Drill Machine is well-accepted for its Better Precision, High Efficiency and Maximum Accuracy. 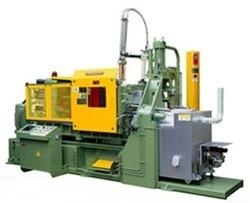 Our Radial Drill machine is popular brand for its Rigidity, Ruggedness & Reliability. More than 25000 users in India and abroad are getting benefits from our machines. Since 25 years PRECIGRIND Surface Grinding Machine is well-accepted for its Rigidity, Ruggedness & Reliability. 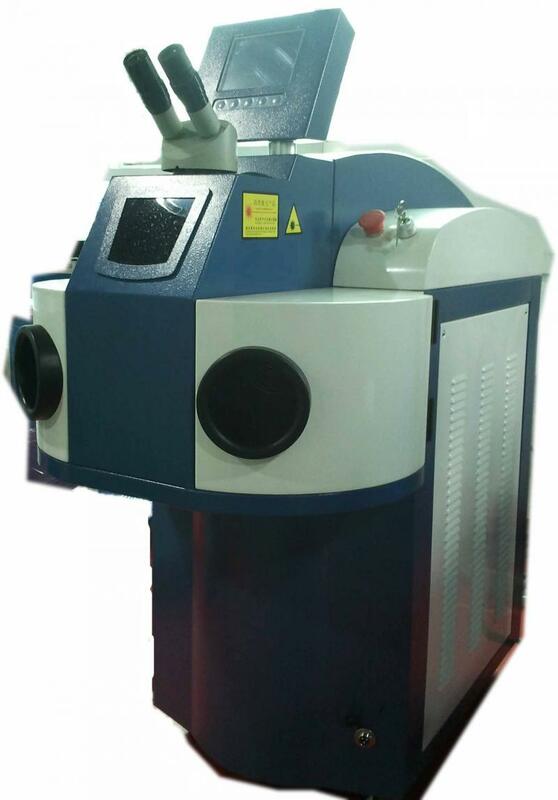 Our surface grinding machine is popular brand for its persistent accuracies and low maintenance. More than 25000 users in India and abroad are getting benefits from our machines. 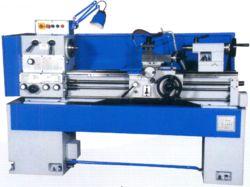 Since 25 years PRECITURN Lathe Machine is well-accepted for its Rigidity, Ruggedness & Reliability. 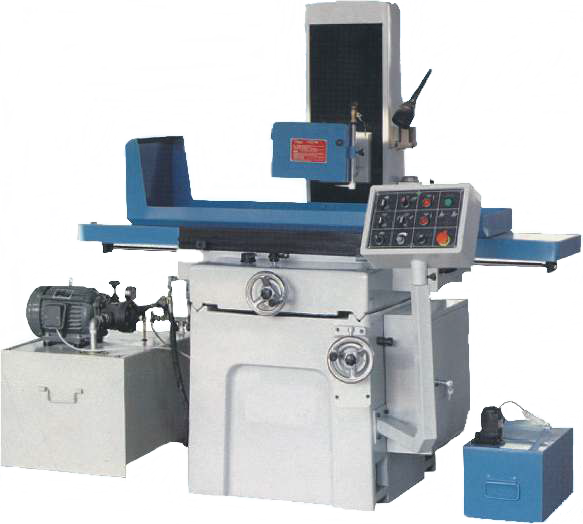 Our Lathe machine is popular brand for its persistent accuracies and low maintenance. More than 25000 users in India and abroad are getting benefits from our machines. Featur es (Series P350HC & P400HC): *﻿Spindle mounted on taper rollers bearings *Bed design with interior pyramid ribs and flame hardening for both flat and V-way *Head stock material is 20Mn Cr5. Which is heat treated and ground *Splash lubricated universal gear box for feed *Fully enclosed apron with oil sump for lubrication and a slipping clutch is provided for over load protection *The cross slide has wide seating on the saddle for rigidity and long life. 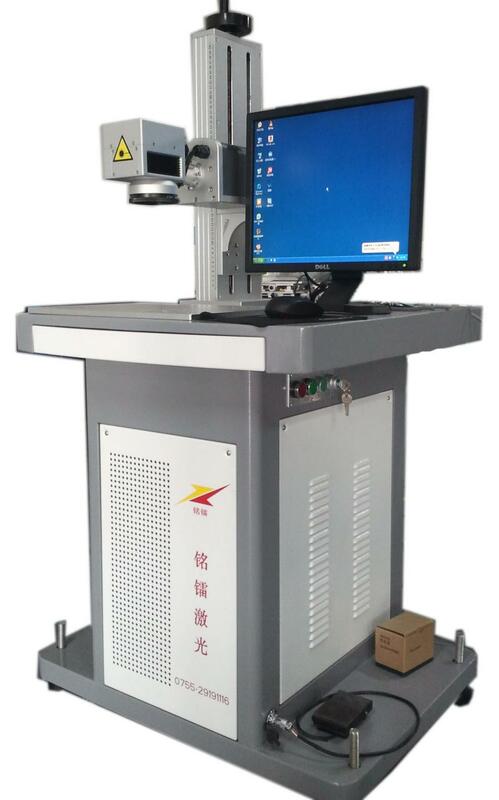 PRECILASER Fiber Laser Marking Machine adopted superior quality Fiber Laser source and high precision digital scan head to enable stable output and high quality laser mode. Our Fiber laser marking machine can meet the demand of mass production with fast marking speed, good marking effect and high efficiency. Others Electronic Industry: *﻿Capacitor *﻿Inductor *﻿PCB *﻿IC *﻿Connector *﻿Control Panel and Other Instrument. *﻿﻿Can repair tiny Parts of The Moulds Such as blisters, crack, burst pieces and Attrition Precisely. *﻿﻿Sufficiently Melting Leaves no repairing traces and no concave slot on the joint between raised parts and matrix. *﻿﻿It is Widely Used in the industries Of Mobile Phone, Digital, Car and so on. *﻿﻿It can repair and weld all Kinds of Steel Moulds, Beryllium Copper, red Copper and extremely hard alloy Material. 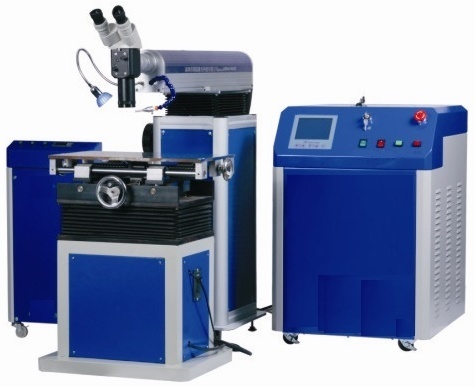 PRECILASER Laser Jewellery Welding Machine uses high energy of heat that instantaneously produces by laser to melt the gold, silver, other metals and special – purpose welding wire and connect it with the damaged parts of the material. 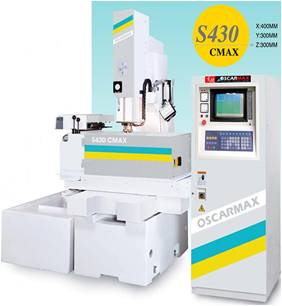 Since 1985 OSCARMAX manufacturing EDMs & Drill EDMs with advance technology to fulfil the market wishes. 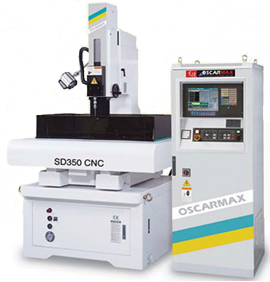 OSCARMAX EDMs & Drill EDMs have won the trust of the domestic and overseas customers by performance, consistency, high-quality and machining precision. Features: *32 bits industrial grade computer. *Low electrode wear, high efficiency, and extremely fine machining surface. *X, Y-axis high precision ball screws. *Multi cavities machining, auto center, edge finder, Employs 32 bits industrial grade computer for maximum stability, fast execution, and great memory capacity. Automatic traverse and positioning function for three axes. Features:﻿ *2.5D machining available *Multi cavities machining *Circle orbiting *Square orbiting XY, XZ, YZ *﻿Orbiting plane changeable Employs 32 bits industrial grade computer for maximum stability *Fast execution, and great memory capacity. *Employs advanced window display for convenient operation. 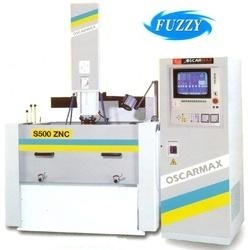 Features: *“FUZZY” system & simply input the machining current then all other machining parameters will be set automatically. *﻿Automatic tool changer (option) & intelligent tool compensation. Dialogue programming, DXF file reader, RS-232 function, easy NC file reader, precision blind-hole machining. 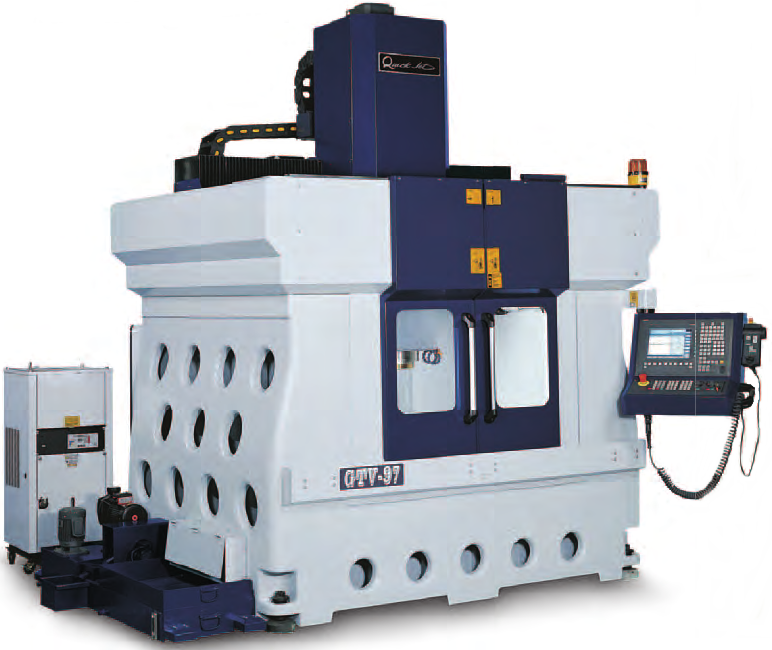 QUICK JET has expertise in Mould / Die Milling Machines. High Performance Milling + High Speed Cutting machines are best and advanced milling machines. Advance technology used for mould / Die industries. CNC Milling machines have high quality, precision and stability standard. High Performance Milling + High Speed Cutting machines gives fully satisfaction to mould machining equipment. Since 25 years PRECIWIRE CNC Wire Cut EDM Machine is well-liked for its Rigidity, Ruggedness & Reliability. 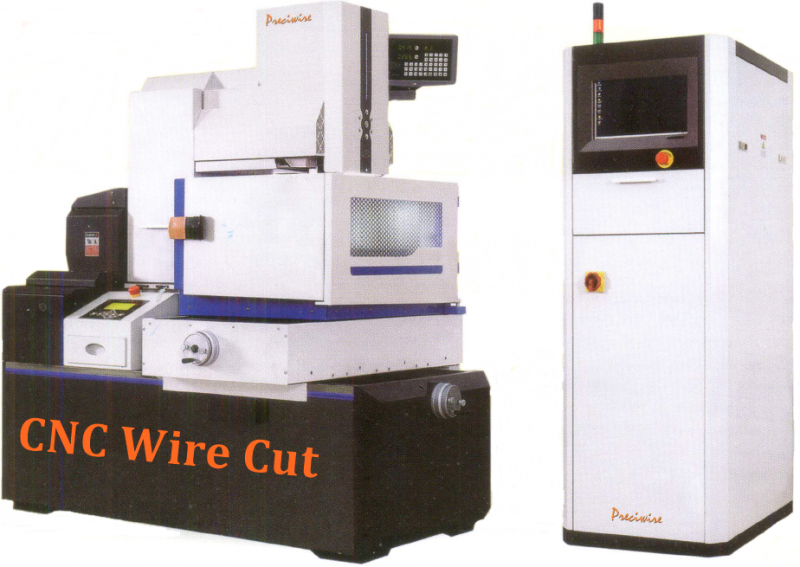 PRECIWIRE CNC Wire Cut EDM Machine is popular brand for its persistent accuracies and low maintenance. More than 25000 users in India and abroad are getting benefits from our machines. ﻿PRODUCER Hot Chamber Zinc Die Casting Machine is complete solution in the field of Zinc Die Casting. The Hot Chamber Zinc Die Casting machine is Tough and Rugged machine, High production with advance feature which control the quality of castings produced. It is a user friendly machine. 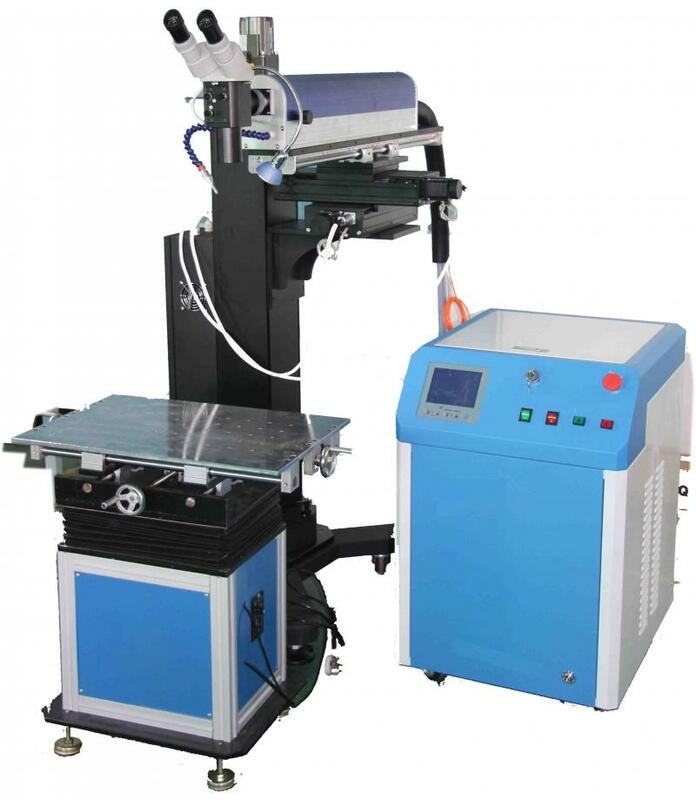 Its configuration makes it convenient to operate and control the machine.